With casinos becoming more prevalent, especially along the east coast, gaming industry veterans and rookies alike, have more options when it comes to choosing where they work. While a generous compensation package may be enough to bring employees through the door, overall job satisfaction is what keeps them there and translates into a customer satisfaction. With that in mind, we put together a list of the best casinos to work based on a wide range of criteria that contribute to employee satisfaction and feelings of fulfillment. By better understanding what other casinos are doing right, you may be able to change the culture at your own casino and see vast improvements in employee and customer satisfaction. Advanced scheduling and table assignment procedures. Employees want to be able to easily schedule time off, let managers know if their availability has changed for the week and see exactly when and where they are scheduled. Software based programs, like Casino Schedule Ease, streamline the scheduling and communication process, making the casino a more organized place to work. Locations with this type of technology ranked higher among employees. Programs designed to protect and promote employee health and welfare. As we saw, these programs ranged from organizing fun activities that encouraged employees to play to wellness rewards programs that provided support for those looking to improve their health. Either way, these programs signaled that the casinos was committed to helping employees destress and enjoy happier lives both inside and outside of work. Performance based bonuses. Everyone loves to be recognized for their hard work. The best casinos employ a variety of bonus programs that reward hard workers who are often nominated by their peers. Demonstrates a clear sense of values and contributes to the community. Every employee wants to feel like they are a part of something larger and making positive contributions. The best casinos make sure that they define and live certain values and give back through charity, fundraising and volunteer events. Opportunities to advance and earn higher salaries. Any employee wants to know that a job has the potential to turn into a career where they can take on leadership roles, learn new skills and earn more money. Employees were most satisfied when these opportunities are present. At Four Winds Casinos, employees appreciate the thorough training process that sets them up for success and the focus on creating a pleasant work environment. The employees truly seem to enjoy one another and look forward to interacting with both the co-workers and the guests. It doesn’t hurt that the casino provides them with food throughout the shifts along with employee appreciation days and periodic gifts to employees. Employees also enjoy a variety of perk programs. The ACES Award Program provides a secret shop that rewards employees when they are recognized for exceptional performance. The company also encourages perfect attendance by rewarding those who haven’t missed a day in the last quarter with personal time off and a mention in the company newsletter. To help keep things light and fun, employees are encouraged to dress up on holidays, participate in the casino softball league and wear their favorite jersey on big game days. 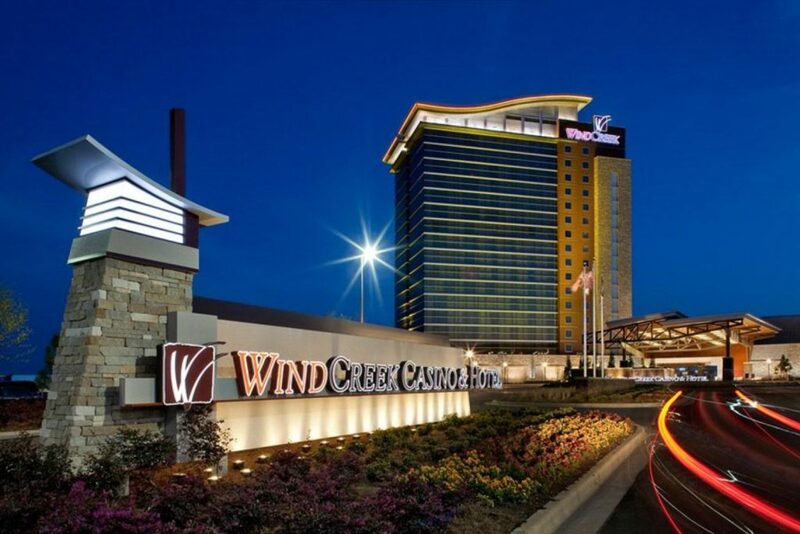 Wind Creek Casinos are known for their focus on guest service and satisfaction, which can always be tied back to well-trained and happy employees. The company sets out a clear set of values and provides employees with the support they need to live up to those values. Incentives include bonus and reward programs and constant recognition for a job well done. Employees also have the opportunity to focus on their own health and achieve a work-life balance through the wellness program that includes a personal trainer on-site. While Harrah’s is a big name in the gaming industry, this particular location has become a favorite among employees for a wide variety of reasons. With almost 1,500 employees, organization is key and Harrah seems to have mastered the art of keeping everyone perfectly schedule and placed even over a 1.2 million square-foot facility. To help keep employees informed, the casino regularly holds “buzz sessions” to discuss changes and recognize employee achievements. 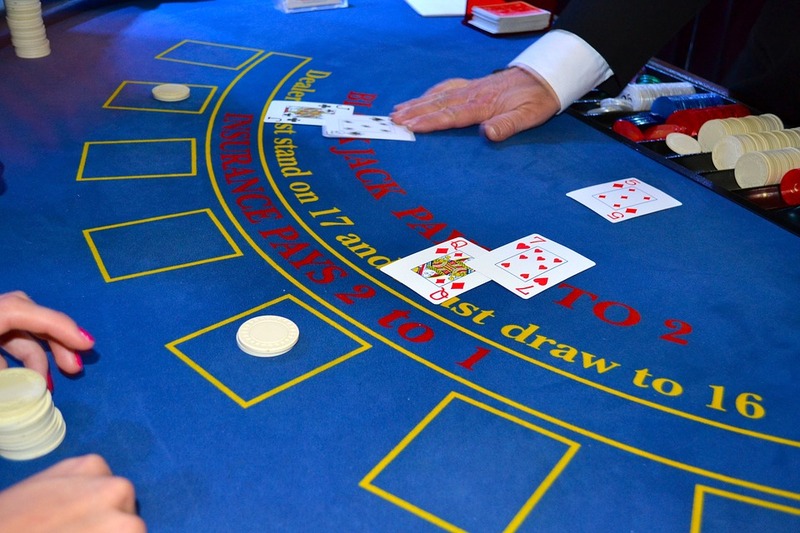 As a larger establishment, the casino also offers plenty of bonuses and activities. Employee of the month winners receive up to $250 in credits and winners of the Chairman’s Award receive credits that amount to $2,500. After work, employees can participate in walking, running, softball, cycling, soccer and other wellness focused clubs. 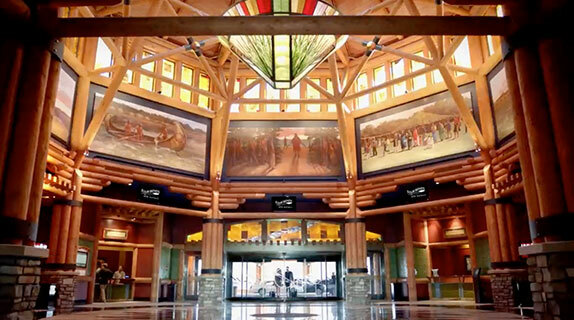 Some might be surprised to see that another Michigan based tribal casino made the top 5 list, but these casinos have clearly realized that the formula for satisfied customers begins with happy employees. 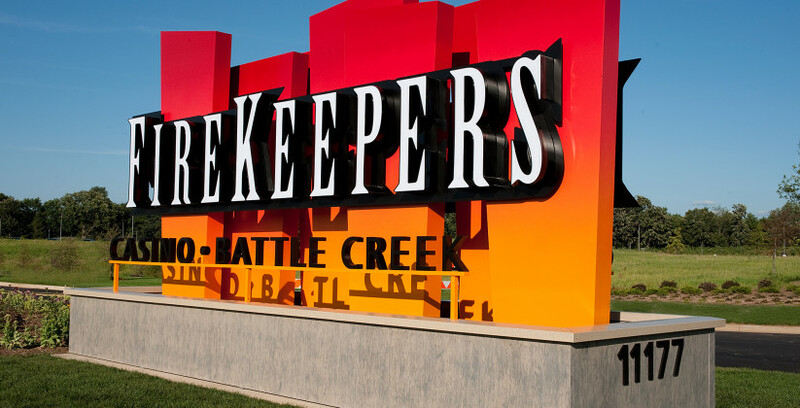 At FireKeepers, employees are rewarded not only for performance by also for loyalty. Every year anniversary means a cash bonus. The casino also demonstrates a clear set of values by providing employees with career paths and encouraging community engagement. Employees can get to know one another and improve morale in the team member dining room and at a variety of casino sponsored charity and volunteer events. The employees have the opportunity to be a part of something bigger instead of simply putting in their time at work. 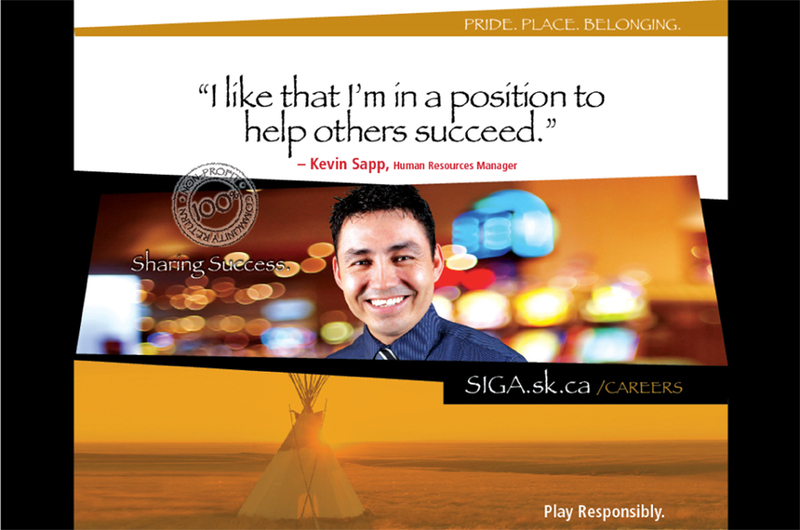 The SIGA is a unique organization because its main focus is to enrich the lives of its First Nation employees. Perhaps more so than any other gaming organization, they are committed to helping employees achieve job satisfaction while also earning a livable wage and creating opportunities to give back to the community. While the casinos are fundamentally profit driven businesses, the entire business model is designed to put that money to good use. Employees can participate in a long list of community based wellness activities and enjoy plenty of opportunities to earn bonuses and rewards. The list just goes on and on, which makes SIGA an outstanding part of the community that is actually helping to cultivate better citizens through employment. 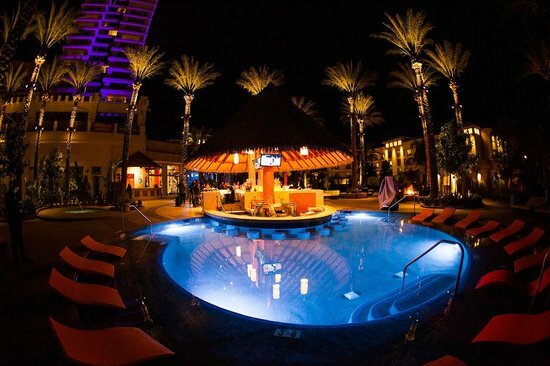 As you may have noticed, a lot of the top casinos are part of the tribal gaming community. It is clear that these organizations are committed to providing a better life for their employees and serving as a positive force in the community. It may be in the best interest of larger establishment to look towards these casinos as an example of what it means to be successful. While businesses typically measure success in dollars and cents, the truest indicator may be employee satisfaction. These casinos also offer important lessons when it comes to managing a large population of employees. Through incentive and rewards programs and scheduling technology, the casinos are able to empower individuals and make them feel recognized instead of lost in sea of people. Simple management tools can allow casinos to offer a more personalized experience to employees, which will ultimately translate to a better customer experience.